Barry has a diverse background in airport management, military, commercial and general aviation. His part-time work at an aircraft salvage firm provided the means to obtain his pilot license prior to graduation from high school. He participated in the general aviation manufacturing boom of the late 1970's as a single engine district sales manager for a Midwest Cessna Aircraft distributor where he was recognized for multiple sales achievement awards. When the economic slump impacted general aviation in 1980, Barry saw it as an opportunity to achieve his dream of becoming a Naval Aviator. He was awarded his “wings of gold” in 1982. As a Naval Flight Officer, Barry participated in cold war operations, tracking Soviet Block naval and air forces from maritime patrol aircraft. He is a veteran of Operation Desert Storm, where he served as catapult and arresting gear officer aboard U.S.S. Midway. He subsequently served as a polar transport aircraft navigator instructor and evaluator in support of the National Science Foundation and Operation Deep Freeze. As a naval officer, Barry was responsible for the leadership of large divisions of naval and civil service personnel. He embraced the value of encouraging each individual to reach beyond their own expectations. 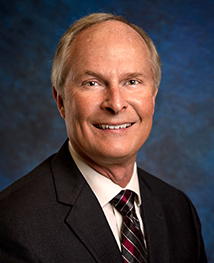 Barry has served in a variety of leadership roles in commercial service and general aviation airports administration for 20 years, most recently as General Aviation Director for Page Field in Fort Myers, Florida. He is a graduate of Parks College of Aeronautical Technology, Saint Louis University where he earned a Bachelor of Science Degree in Transportation. He holds a Master of Business Administration Degree from Southern New Hampshire University, and is an instrument rated airplane and glider pilot. Barry is an avid bicyclist and loves to travel. He serves as a board member for a community organization that promotes safe pedestrian and bicycle activities.